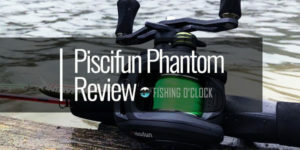 For the catfish anglers, the need for a fishing reel that provides power and durability is extremely important. Catfishing requires strong gear that can pull in the large catches and the Abu Garcia Ambassadeur is one of the greatest baitcasting reels to purchase. Its durable, all-metal body was made to last a lifetime due to the brass durable gear. With so many options to select, Abu Garcia has created a reel made especially for catfishing. Their Ambassadeur Catfish Special Round Baitcast reel comes in a brightly colored casing. Its carbon matrix drag system will give off a consistent drag pressure. In addition, having this drag system gives a longer drag range. The Abu Garcia Ambassadeur is a great selection for several different fierce catfish species. 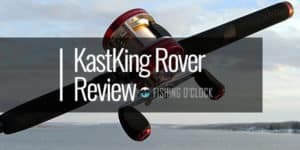 In addition to the drag system, other great parts of this fishing reel are its brake system, powerful knob, and its stainless steel ball bearing system. 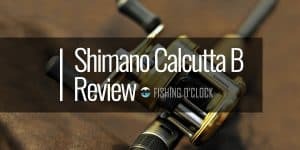 For experienced anglers and novice alike, this reel is easy to manage but still gives a reliable performance. With its median price point, it works as a solid investment that will last several seasons. When planning to catch certain catfish, the proper equipment is needed to ensure pulling in the larger fish. 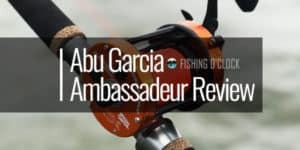 With the Abu Garcia Ambassadeur, their catfish special reel has the fish-stopping power. The smoothness of the reel when retrieving is worth the money. The carbon matrix drag system helps to bring those hard pulling fish to a halt so you can confidently reel them in. The consistency of the drag pressure helps to put up a fight. There needs to be a strong brake system in place when catfishing and with the Abu Garcia Ambassadeur, they have delivered on that. The boosted range and control you will experience will ensure you can reel in the larger catches. The six-pin centrifugal brake system offers an effortless retrieve. Due to its synchronized level wind system, the line on the reel is improved to pull in the accurate castability. 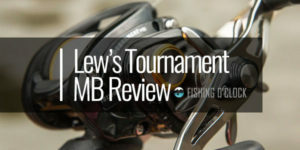 Even with its advanced brake system, this reel is extremely user-friendly. Engaging all six brakes allows for casting long distances with no issues. Having a reel that is comfortable on your grip is vital to handling your catch and reeling them in. The firm grip on the Abu Garcia Ambassadeur reel gives you plenty of leverage. With an extended bent handle, it allows for a better grip when pulling in the larger fish. This reel also added in a powerful cranking knob. This knob helps to deliver added torque which is necessary for bigger fish such as channel cats and big blues. One of the most important things to look for in a reel is if it offers a smooth retrieve. The stainless steel ball bearings are the reason for such a smooth delivery on the retrieve. The Abu Garcia Ambassadeur has three stainless steel ball bearings and one roller bearing. With these, they seem to be flawlessly aligned which is also one of the reasons for a smooth retrieve. It provides a fluid operation for your catfishing experience. While the overall use of this reel is durable, there does seem to be one negative about the Abu Garcia Ambassadeur reel. The clicker switch seems flimsier than the other parts of this reel. 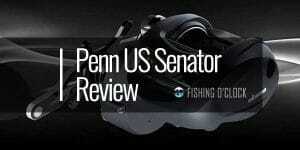 Overall, the reel is professionally built and very reliable. The clicker switch needs to be handled with care due to the fact it may break off. It is not sure if it is an afterthought when making this reel however a flimsy clicker may or may not be a deal breaker. 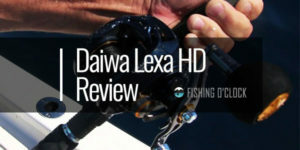 For the Abu Garcia reel, it seems like the tension does not click so well which prevents you from successfully trolling the due to this click mode. There is a way to remedy this by engaging the spool. After engaging the spool, you lose the drag so that it holds while trolling the planner boards. This is something that you may experience and can master over time. It is not too many drawbacks with the Abu Garcia Ambassadeur fishing reel is that it is missing a bait runner. The bait runner is typically used when an angler wants to fish with live or cut bait. 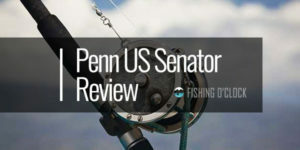 This process allows the fish to be able to take the bait and go with it before the hook is set. The Abu Garcia does not have this option however many catfishing reels leave this off their products as well. While this is a preference for many anglers, not having a bait runner is something that can be managed. The Abu Garcia Ambassadeur was built to reel in catfish of all sizes and to last a lifetime. The oversized extended handles make it easier to maneuver when reeling in the larger catfish. 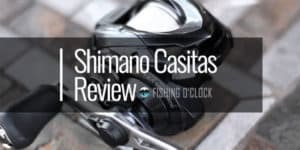 There are several features that work well on this catfishing reel in addition to the carbon matrix drag system. Such as its power knobs that will assist in landing the tougher catfish. The extended line capacity of 250/20 and 630/30, gives more line to fight the hard running catfish. In addition to the long line, it has a retrieval rate that also assists in an easier fight. 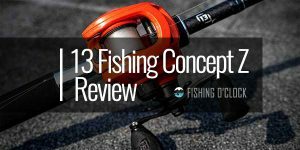 While there are some downfalls to this reel such as the clicker switch, there are more upsides to this reel than downfalls. 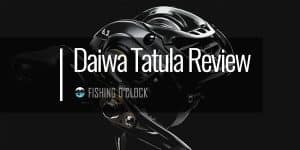 The most experienced anglers have trusted the Abu Garcia brand to deliver a strong, dependable reel and this particular model holds true to this claim. It has durable casting and stainless steel ball bearings in addition to firm grip handle. When looking for a reel, there are certain things that may be more important to the specific catfishing trip. Regardless of your preference, there are attributes that will assist in catching your ideal catfish. The Abu Garcia Ambassadeur gives a consistent drag system that will bring in hard to pull fish. Overall, the Abu Garcia Ambassadeur is a catfishing special for the professional and novice angler.